Amanda Ehman is a Gallia County resident who works with Gallia, Jackson, Meigs and Vinton counties to establish educational community partnerships in the area. Amanda Ehman is a Gallia county resident who works with Gallia, Jackson, Meigs and Vinton counties to establish educational community partnerships in the area. Ehman has played a role in admissions and outreach for over eight years at the University of Rio Grande and Rio Grande Community College. She works closely with local industry to fit the educational needs of the community and assisted in the establishment of the Rio Grande Jackson Center. She also works with each Rio academic center for the recruitment and retention of students. Ehman is a Gallia Academy High School graduate and a two-time Rio graduate earning a Bachelor’s degree in Business Management and a Master’s degree in Business Administration. Ehman serves on the Buckeye Hills Career Center Stakeholder/Institutional Advisory Committee. 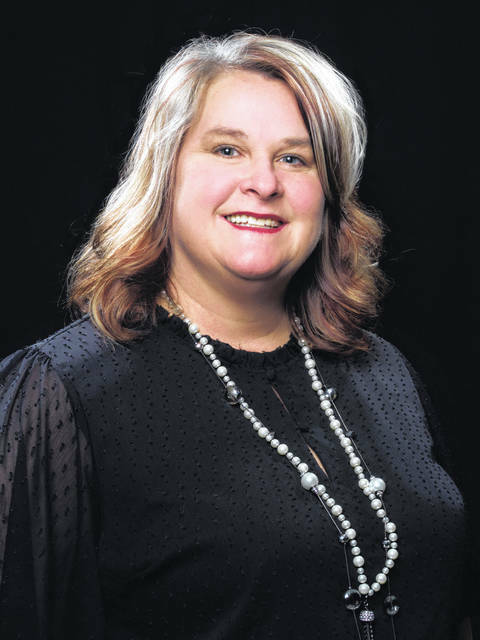 She has served as a member of the Gallia County Chamber Board for three years and enjoys networking with local business owners. Ehman has been happily married to her husband Keith Ehman for 23 years. They have two fun and spunky children, Evalena, age 17 and Evander, age 15 who are active in their school Beta and class projects. Amanda enjoys helping her family in their local flower shop, listening to Jimmy Buffett and lounging by the pool, in her spare time. Submitted on behalf of the Gallia County Chamber of Commerce.